A few weeks ago the Dallas-Fort Worth metroplex was hit by a series of tornadoes. Storms left neighborhoods without power and families homeless. Parker Law Firm has worked to protect victims of a casualty loss, property damage, and bad faith insurance practices. 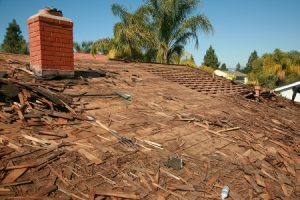 Review our blog on things you should do if you have insurance to pay for all or part of your storm damage. Don’t delay! Contact your Insurance Company. Even if you do not think your policy will cover it. Be sure to document each time you correspond with an insurance agent. Check your damage. Assess areas anywhere from windows to the brick exterior. Keep detailed notes. Reduce your damages. Try to keep things from escalating. Preserve all receipts of items you purchased to mitigate your damages. Take pictures. Document all angles and areas of your home. Even find news stories of proof that the storm hit where your home is located. Insurance adjuster inspection. Take notes of all conversations. Be safe and take a photo of the insurance adjuster. Remember, they are working for the Insurance Company, not you. Recorded Statements. Any and all recorded statements will become a part of your claim file. Always ask for a copy of your statement. Make sure you understand the questions asked before answering. Do not choose the first contractor. Hire the best, not the cheapest. Often times the insurance company will recommend a contractor, this may not necessarily be in your best interest. Living arrangements. Keep track of all expenses related with your relocation while your home is being repaired. You want to be reimbursed accordingly. Resources. Know what useful information you have access to that can help you prepare or recover from storm damage. Contact Parker Law Firm. If your insurance claim is denied or they fail to pay all of your claim, understand your rights and protect yourself. Call us at (817) 503-9200.